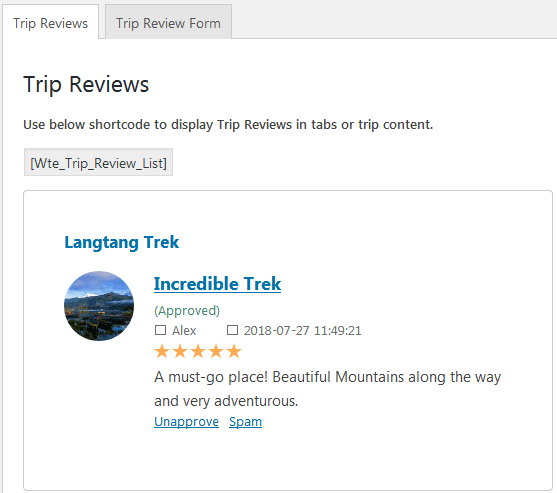 Trip Reviews requires WP Travel Engine plugin installed. To configure Trip Reviews Extension, go to Trips > Trip Reviews. 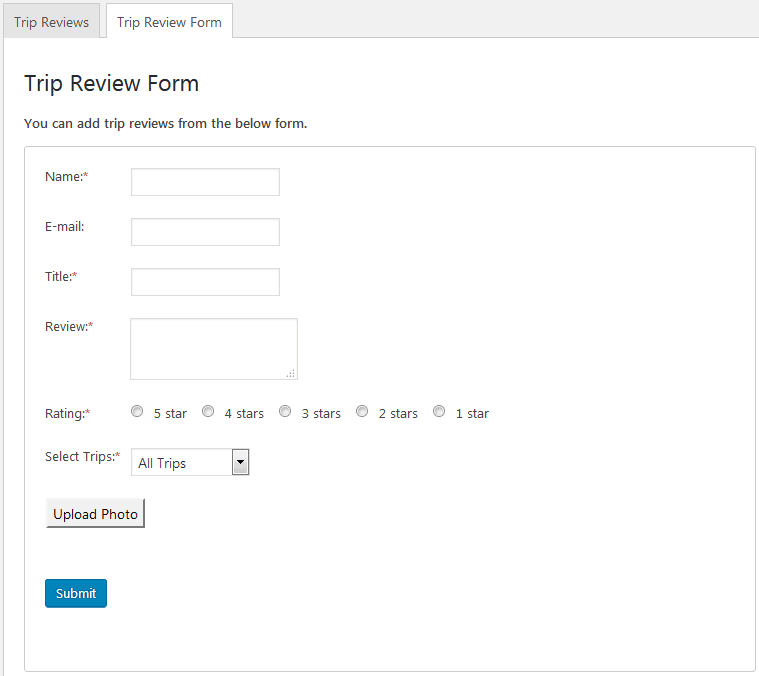 Click Trip Review Form tab to add the trip reviews from your admin dashboard. After the review submission, admin can approve or unapprove trip reviews in the Trip Reviews tab. 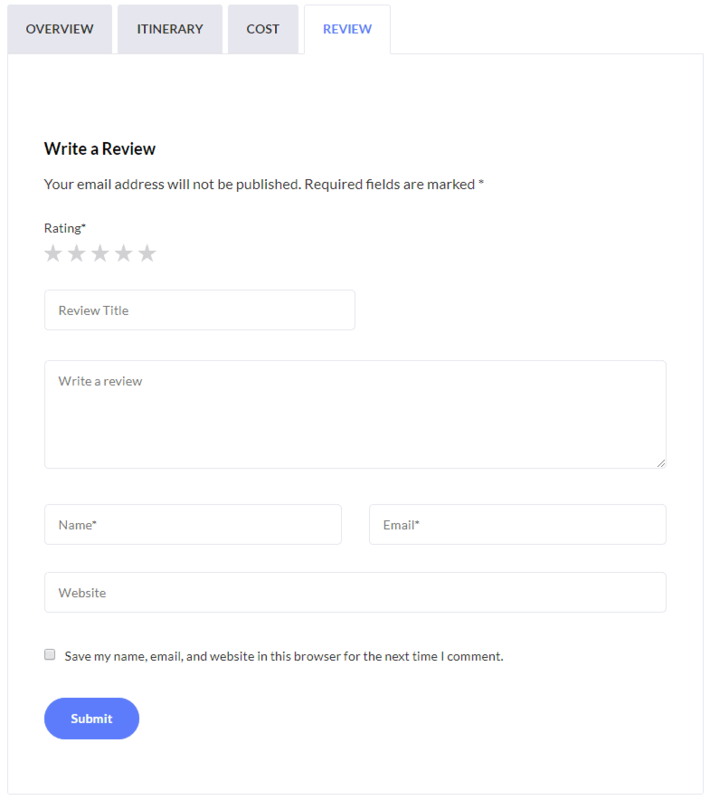 Admin can also add a review note while creating a new trip post from the Review Tab. 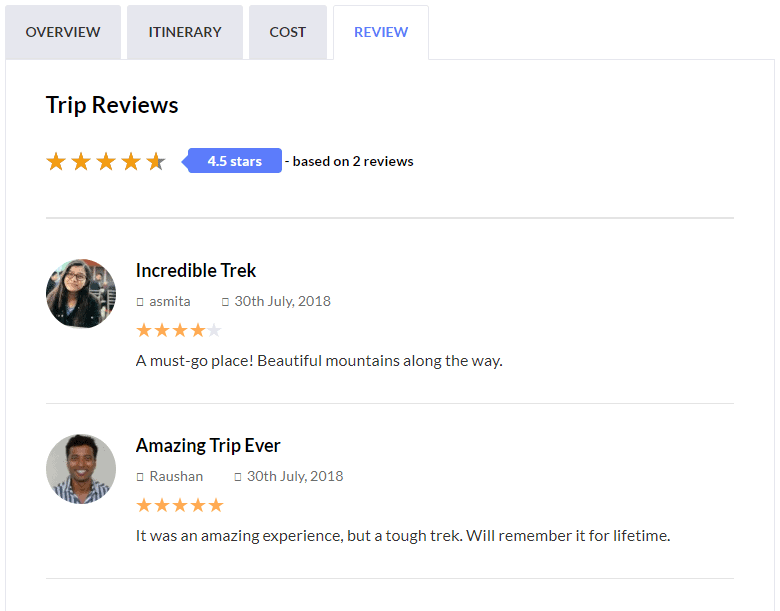 Travelers can fill the review form in the Review tab of individual trip posts to add reviews. After approval, all the reviews will appear in the Review tab. 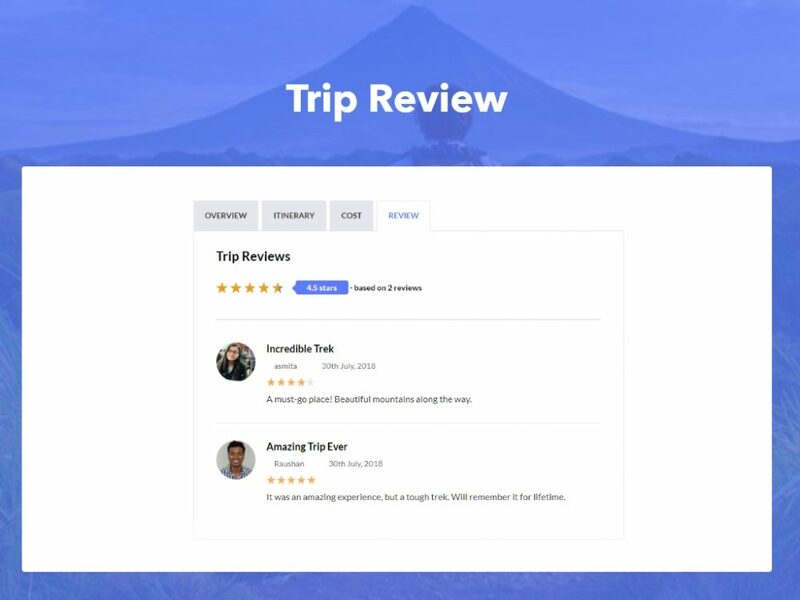 Trip Reviews calculates the average ratings for a trip based on the total number of reviews. To hide Trip Reviews, you can configure Trip Reviews Extension from Trips > Settings > Extensions and check the Hide Trip Reviews option.